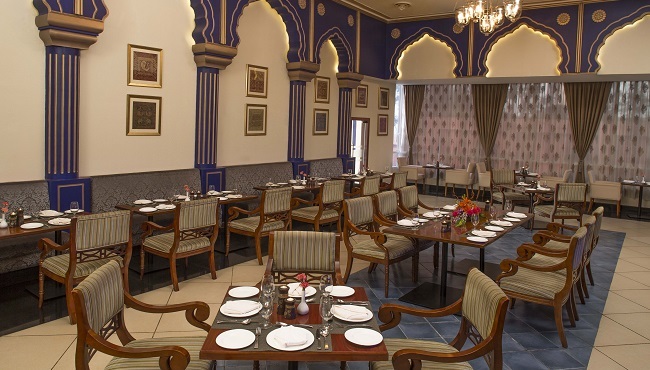 Our on-site restaurant Spice serves well-known delicacies of India through an extravagant dining experience that blends modern style and rustic charm. Be sure to pair your meal with a glass of wine or a creative cocktail as you relish one of the most sensory, fine-dining Indian restaurants in Mysore. This specialty restaurant is open daily for dinner. Make a reservation online! When you book the private dining room for dinners and events of up to 15 people, our skilled chefs can create a menu perfectly suited to the needs of your guests. The rest of our professional staff is always available to assist you in planning a successful social gathering, business dinner or family event. Daily, 7:00 p.m. - 11:00 p.m.